Which MPs have called for a no confidence vote against Theresa May? The threat of a no-confidence vote has been hanging over the Prime Minister since she revealed her proposed EU Withdrawal Agreement. The draft led to seven resignation, including of Brexit Secretary Dominic Raab and Work and Pensions Secretary Esther McVey. However, other Conservative MPs have taken the opportunity to call for a no-confidence vote against Theresa May over the document. Under party rules, a vote of no-confidence must be called when Sir Graham Brady receives letters from 15% of MPs, which works out to 48. The MP for Reigate announced on Monday 11 December that he had submitted his no confidence letter twice. Talking to talkRADIO's Mike Graham, he said: “I submitted my letter twice. I submitted it in October when I thought we needed a new leader in place for the December Council that is happening now. “When that did not happen, I withdrew my letter when it looked as though a deal was going to happen. “I saw the deal and put the letter back in and that was probably about a month ago. “I think is important for my colleagues to understand that they can completely trust Sir Graham Brady. “He is not going to tell anybody that they have written a letter. Anyone in the government can write a letter, any junior ministers or any backbench MPs." Watch: Jacob Rees-Mogg threatening to put his letter in hours before he shared it on twitter. European Research Group Chairman Jacob Rees-Mogg published his letter after threatening to do so in the House of Commons on Thursday. Mr Rees-Mogg as so far denied any leadership ambitions are behind putting in the letter. In a statement published on Twitter on Wednesday, Mr Clarke wrote that the deal presented a “grave threat to the Union” and would be “gold dust” for Scottish Nationalists. 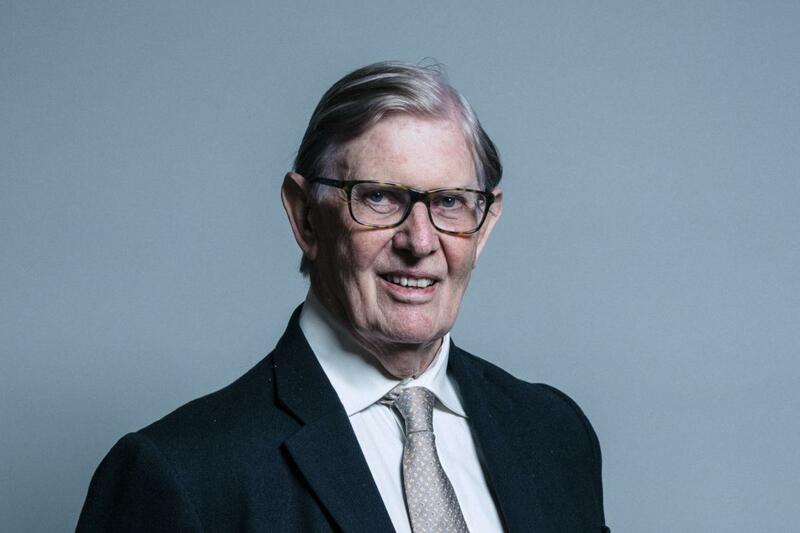 The MP for Crawley, who campaigned to leave the European Union, submitted his letter to Sir Graham Brady calling for a vote of no-confidence in the Prime Minister on Thursday. Mr Smith’s letter is one of the shortest, simply stating that he does not have confidence in the Prime Minister and called for a vote of no-confidence. 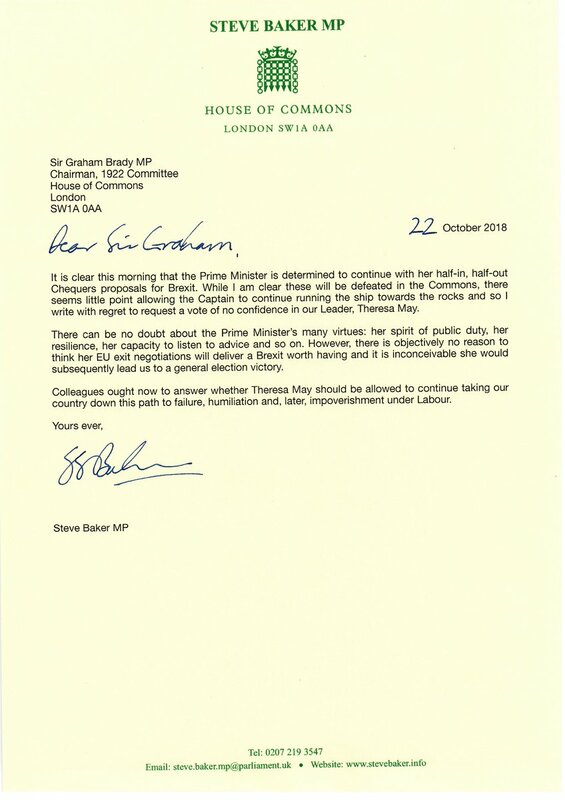 Whilst only made public on Thursday, Steve Baker revealed that he had submitted his no-confidence letter on October 22. Mr Baker resigned as a Brexit Minister earlier this year over Mrs May's Chequers deal. The Brexit-supporting MP for South East Cornwall submitted her letter on Thursday, citing her concern over fishing rights. Speaking to talkRADIO’s Julia Hartley-Brewer on Friday morning, Ms Dorries said the proposal was the EU's "endgame" as they believe Theresa May is "too weak in her operations at number 10" to negotiate anything else. The MP for Mid Bedfordshire revealed on Thursday that she submitted her letter “weeks ago”. 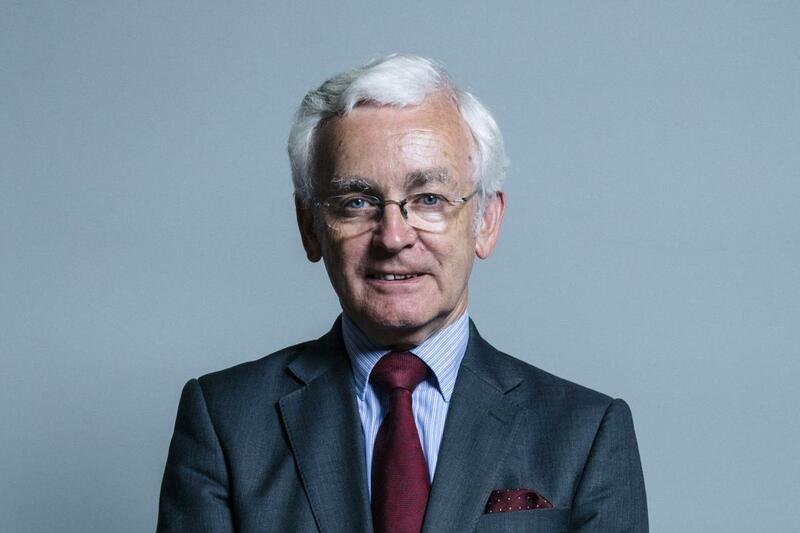 The MP for Cleethorpes revealed on Thursday that he submitted his letter in July in response to the Chequers proposal. Lee Rowley, who has publicly opposed the Chequers proposal, submitted his letter on Thursday. In a statement on Twitter he said he had heard nothing to convince him that it was anything other than a bad deal, and that he cannot support and will not vote for it. Mr Rowley won the seat of North East Derbyshire in 2017, becoming the first Conservative MP for the constituency since 1935. The MP for Tewkesbury submitted his letter over the summer after the Chequers proposal was made public. The former Shadow Secretary for Northern Ireland said he objected to Northern Ireland having a separate status under the terms of the deal. The MP for Newton Abbot did not display much gratitude to the Prime Minister on Wednesday, writing that she could not support the proposed deal and saying she believed the Prime Minister was not delivering the Brexit people voted for. In July last year Ms Morris had the whip suspended after being recorded using the n-word, but had it restored in December just before a crucial Brexit bill, in which she supported the government’s position. The former Parliamentary Private Secretary in the Ministry of Housing, Communities and Local Government submitted her letter in July after the fallout from the Chequers agreement. She told talkRADIO’s Julia Hartley-Brewer on Friday that she would be “very surprised” if the Prime Minister won the vote of no-confidence but even if she did, May would be forced to resign when the deal failed to pass Parliament. 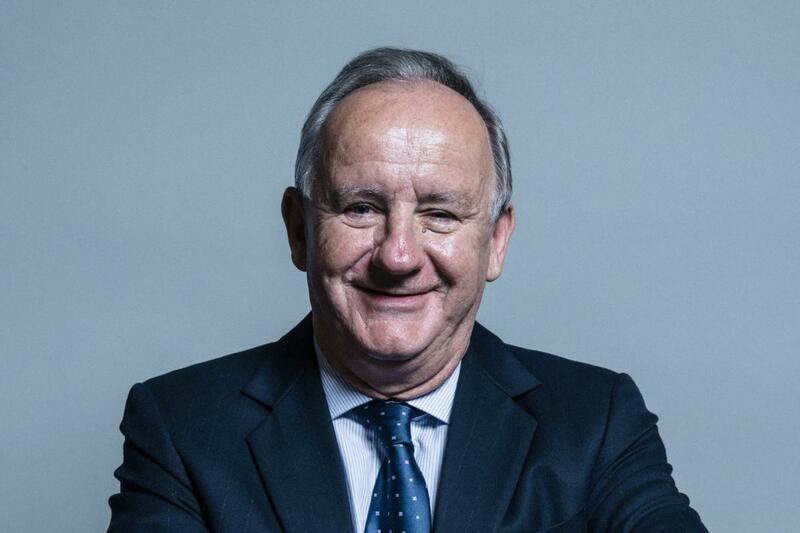 The MP for North West Leicestershire submitted his letter in July following the Chequers agreement. 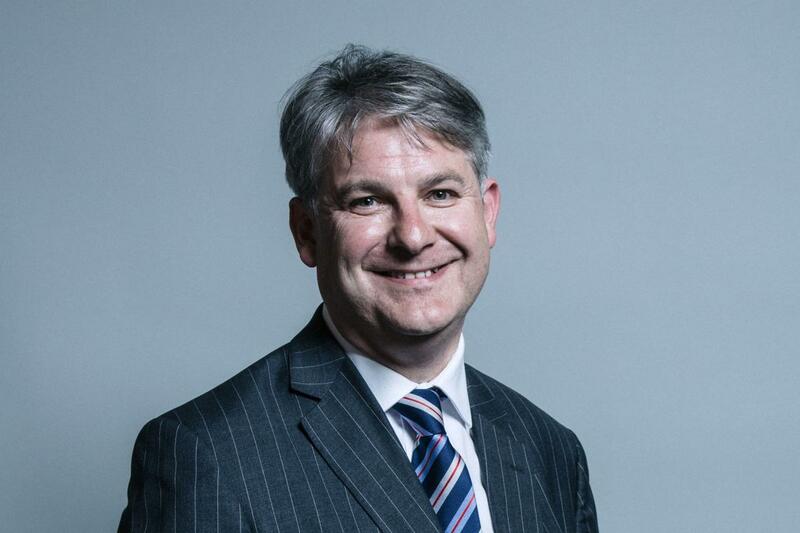 In the Commons yesterday, Mr Bridgen accusation that May was “dancing to the EU’s tune” prompted his fellow backbenchers to call him “disloyal” and a “twerp”. The MP also submitted a letter of no-confidence against David Cameron in 2013, but withdrew the letter after it failed to attract wider support. Philip Davies joined fellow Leavers in writing his letter in July as a response to the Chequers proposal. The MP for Shipley is well known for his Euroscepticism, so much so that UKIP campaigned for his re-election in the 2010 General Election. 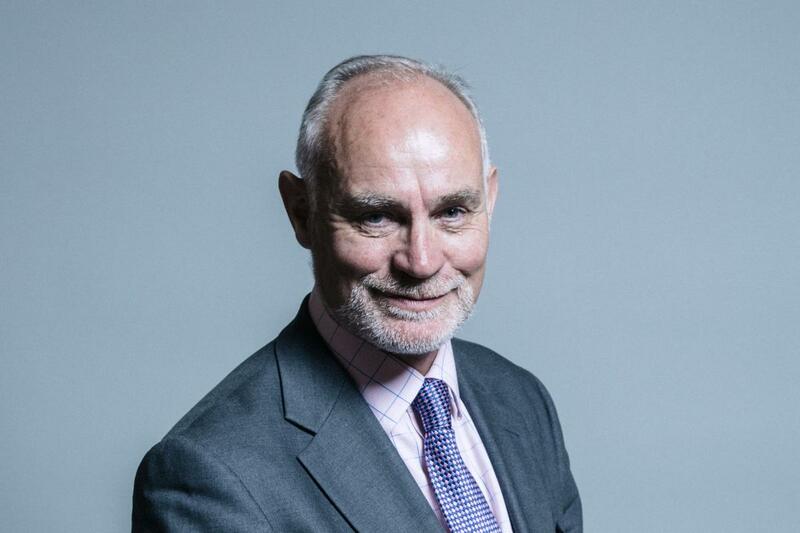 Mr Davies is also a leading campaigner for the Men’s Rights movement, and helped organise the first International Men’s Day debate in Parliament. The former Foreign and Commonwealth Office junior minister called for a no-confidence vote in early October, just before May’s conference speech. Mr Duddridge is known to be a supporter of Boris Johnson, praising the former Foreign Secretary’s conference speech calling on May to “chuck Chequers”. The Gravesham MP called for a no-confidence vote on Thursday, but insisted that his criticisms were focused on the Brexit deal, rather than May herself. Read more: What is in Theresa May’s EU Withdrawal Agreement? The former Grenadier Guard Captain wrote on his Facebook page yesterday: “Mrs May is a remarkable woman - just look at her fortitude today in the House of Commons, even more please remember her long career of public service. 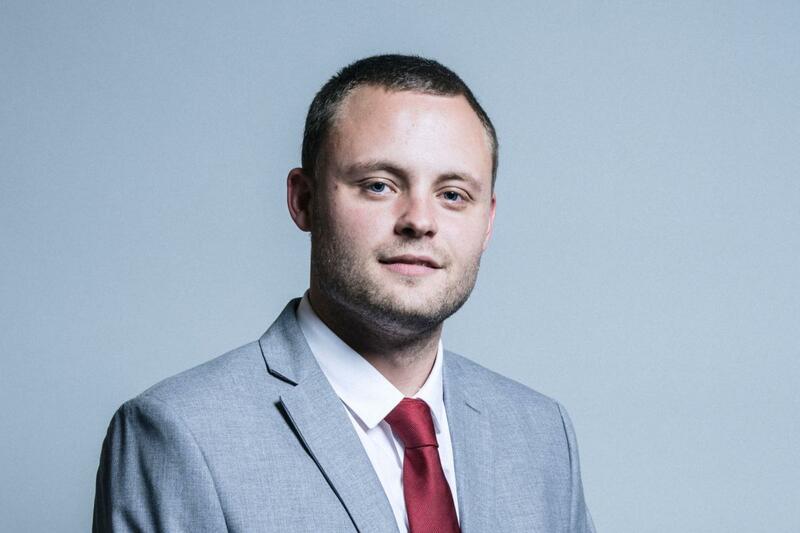 Ben Bradley confirmed on Thursday he had submitted a letter of no-confidence. 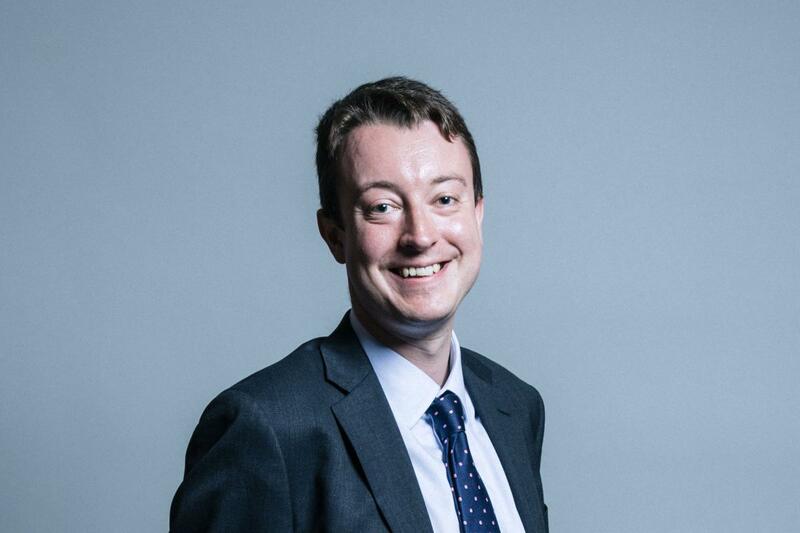 Mr Bradley resigned from his position as Vice Chair for Youth in July in response to the Chequers agreement, writing that he could not defend it to his constituents. In the 2017 General Election he became the first Conservative ever to represent Mansfield. The Brexiteer MP once called Theresa May the “Brexit Queen”, but on Wednesday warned that her Brexit policy would lose millions of votes. He confirmed on Thursday that he had submitted his letter of no-confidence. 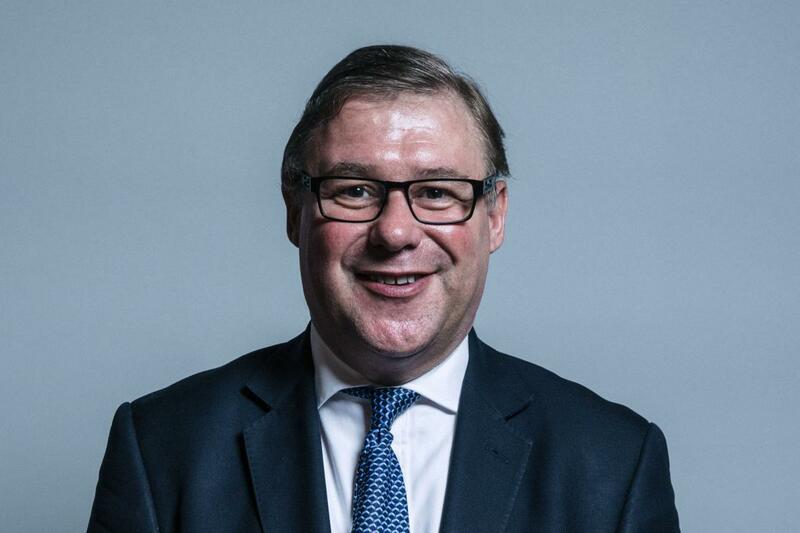 Mark Francois publicly shared his letter on Friday after complaining the Prime Minister had refused to listen to his proposals for a “Super Canada” deal. The MP for Rayleigh and Wickford wrote: “The Prime Minister has been surrounded throughout this process by a Pretorian Guard of highly pro-European senior servants who, I believe, have never accepted the result of the referendum. “Instead they have helped to steer the negotiations in such a way that means, quite simply, we will not in fact leave the European Union. John Whittingdale campaigned for Brexit while serving as Culture Secretary under David Cameron, but lost his job under May in 2016. The MP for Lewes resigned her position as CCHQ Vice Chair for Women in July in protest against Theresa May’s Brexit proposal. On Thursday she confirmed she had sent a letter to Sir Graham Brady calling for a no-confidence vote. Many constituents have contacted me enquiring as to whether or not I have put my letter of no confidence in with Sir Graham Brady MP. With a heavy heart, I confirm that I have put my letter in calling for a vote of no confidence in the Prime Minister, Theresa May. The MP for Bolton West resigned as a Parliamentary Private Secretary in July as a response to Theresa May’s Brexit position. He confirmed on Friday that he had submitted a letter calling for a no-confidence vote, saying the proposed deal does not provide the “clean break from the European Union” his constituents voted for. The MP for Yeovil became the 22nd MP to confirm they had submitted a letter of no-confidence, after he publicly shared his on Friday. The Conservative MP for Stone confirmed to the Press Association on November 19 that he had submitted a letter of no-confidence to the 1922 Committee chair.